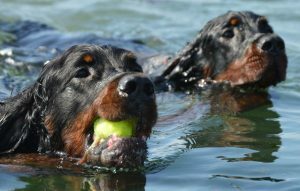 I am very proud to have been elected to the position of President of the British Gordon Setter Club and look forward to leading a very proactive committee during my term in office. We have some very exciting projects to look forward to during the next few years, first and foremost we celebrated our 90 year anniversary in 2017 and marked this occasion with two very successful events that were all inclusive not only of our Show, Field Trial and Working members but also all of those members that have very important Gordons on their sofas at home! Lots of photos both on this website and also on our Facebook page. If anyone would like to be involved in the organization of shows or events please do get in touch with any of the committee members we would love to hear from you. This is our new website so again any feedback or suggestions are welcome. Photos are very welcome but these must be simply of the dogs, no show poses, no names and no people.